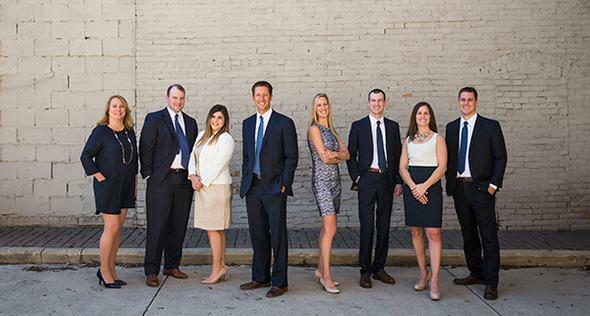 Our team is dedicated to working side by side with our clients, empowering them to achieve their financial goals. Maria is a native of Tracy, MN and graduated from Minnesota State Mankato. She earned her Bachelors of Science in Management with a minor in Finance and Business Administration. She joined Northwestern Mutual in 2007. Maria and her husband Ramon, along with their daughters Maya, Bria, and Kenna reside in North Mankato, MN. In Maria's spare time she enjoys playing volleyball, running, and spending time with family and friends. Justin Fenlon has been a part of the Northwestern Mutual team since 2006. While attending the University of Minnesota, Justin participated in the Northwestern Mutual internship program where he quickly found his passion working with individuals and families to help them achieve their financial goals. After graduating with a Bachelor of Science degree in Finance and Economics. Outside of the office, Justin enjoys spending time at his cabin in northern Wisconsin, being active outdoors, and exploring new restaurants and shops in the Mankato area with his wife, Kelsey. Brandon joined Northwestern Mutual in 2014. He is from St. Clair, MN and graduated from Minnesota State University- Mankato. He earned his Bachelors of Science in Personal Finance with minors in Investment Analysis and Business Administration. Brandon and his wife Rachel currently live in Mankato with their daughter, Emma. Brandon enjoys the outdoors, hunting and fishing, as well as watching and playing sports. Tiann is originally from Wayzata, MN. She joined Northwestern Mutual in 2011. She earned her Bachelors of Science in Family Life and Child Development at Mankato State University. Tiann and her husband Joe, along with their children Jordan, Jax, Tenley, and Brogan currently live in Mankato. Tiann enjoys attending her children's sporting events. Sara is originally from Redwood Falls, MN. She has lived in Mankato for six years and attended Mankato State University. She joined Colby Staloch's team at Northwestern Mutual in 2015 and is LAH licensed. In Sara's spare time she enjoys being outside with her daughter, Logann, traveling, and spending time with family and friends. Kate grew up in Tracy, MN. She has a Bachelor of Arts in Elementary Education and a Masters Degree in Educational Curriculum and Instructional Technology. Before she joined Northwestern Mutual in 2016, she was a teacher in Arizona for thirteen years. Kate is currently an AFR in our insurance department and has her LAH and is securities licensed. She enjoys the culture at Northwestern Mutual and learning something new everyday. Kate and her husband Trevor, along with their three kids, Teya, Gavin, and Brooks reside in Madison Lake, MN. Nikolas joined Northwestern Mutual in 2017. He grew up in New Ulm, MN and graduated with a Bachelor of Arts in Business Administration (Finance emphasis) degree from Bethany Lutheran College in Mankato. In early 2017, Nikolas completed all requirements of the CERTIFIED FINANCIAL PLANNER™ certification. He assists the team on the investment and financial planning side. Previously, Nikolas worked as an investment analyst and financial planning associate at a registered investment adviser in Rapid City, SD and served high net worth clients near or in retirement. Nikolas enjoys spending time with family, watching and playing sports, being outdoors, and going to fine arts events.